I've been playing saxophones for almost 30 years, and I've performed, toured and recorded around the world with various bands and musicians, some of whom are my heroes!! Music has given me so many blessings, and I love talking about it, sharing it, and getting inspiration from other music makers, students, teachers...anyone interested! 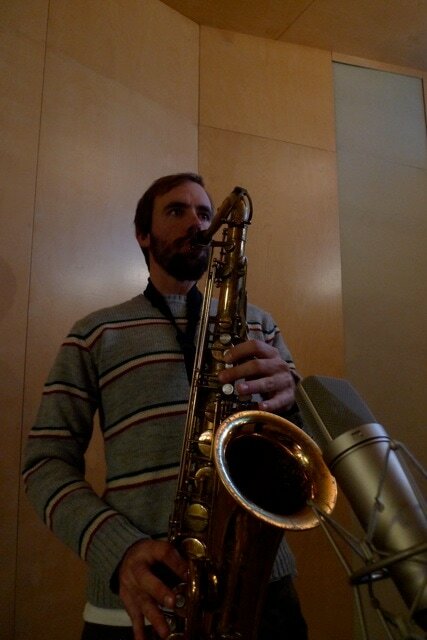 I've been teaching saxophone to all ages and all levels from beginners to advanced for 15 years. My students learn: technique, theory, reading, improvisation, tunes, licks, riffs, scales, etc. But most importantly, THEY LEARN THE JOY OF MUSIC!!! That's how I approach working with students. Finding what works for each individual, and what makes them WANT to learn more and become better at it, and we build from there. I'm primarily a saxophonist, but I also teach beginning flute, clarinet, and guitar. And for anyone, on any instrument, I also teach improvisation lessons and composition. Rates are $35 for a half hour lesson, and $55 for a 50 minute lesson.